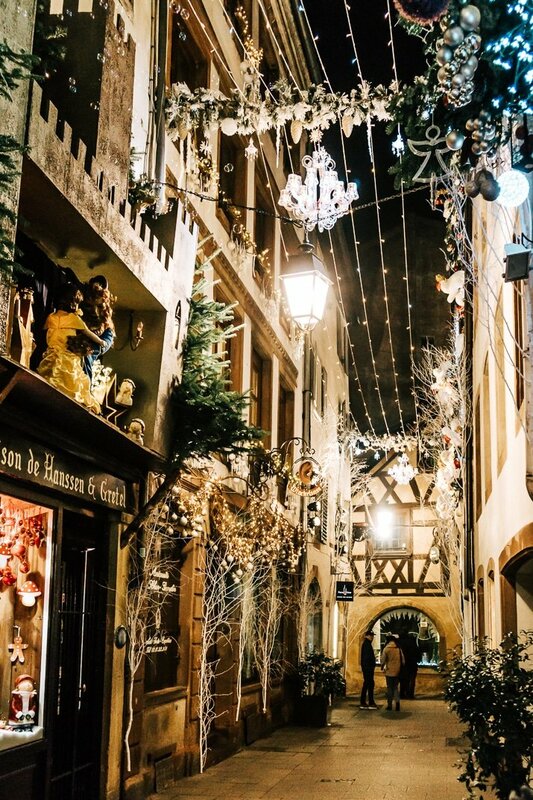 Christmas in Strasbourg, France is something truly magical. 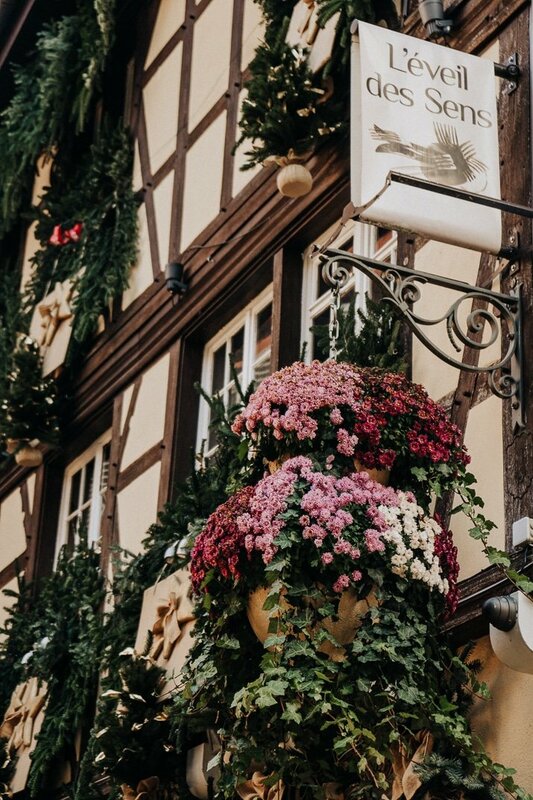 This charming town in the Alsace region in France is covered in lights and seeping Christmas spirit, you can’t help but fall in love with this European destination! If I could bottle up the feeling of Christmas, it would feel like an evening stroll through the bokeh laden streets of Strasbourg, France in December. 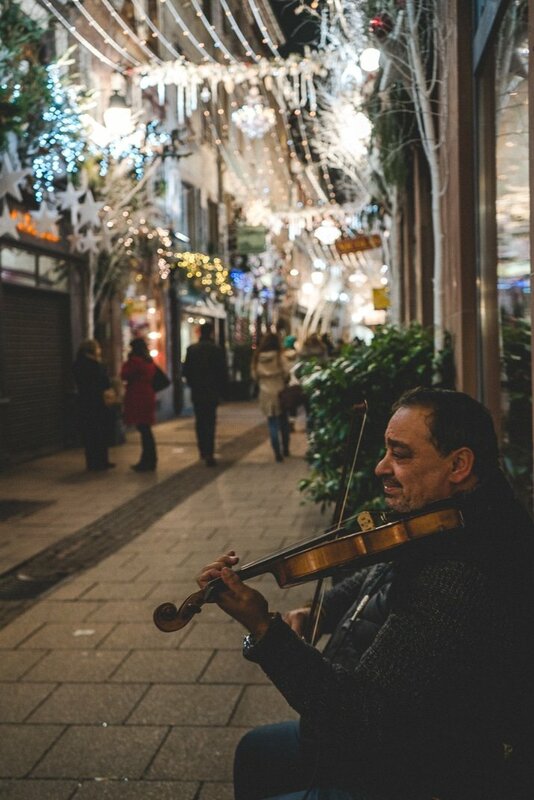 Nothing quite compares to the way the notes of the violin dance around your heart as the lights twinkle and couples walk hand in hand over the cobblestone streets. I’m pretty sure Strasbourg is where the idea for every Hallmark Christmas movie came from. Except that it’s not even the least bit cheesy! It’s quaint and charming and pure holiday MAGIC! Spend a week or drop in on a European road trip and see what all the fuss is about! Christmas Markets are a holiday tradition in Europe, one that I have made a tradition of my own. This year some of my friends and I decided to go all out and we road tripped around Europe checking out all the Christmas markets along the way. 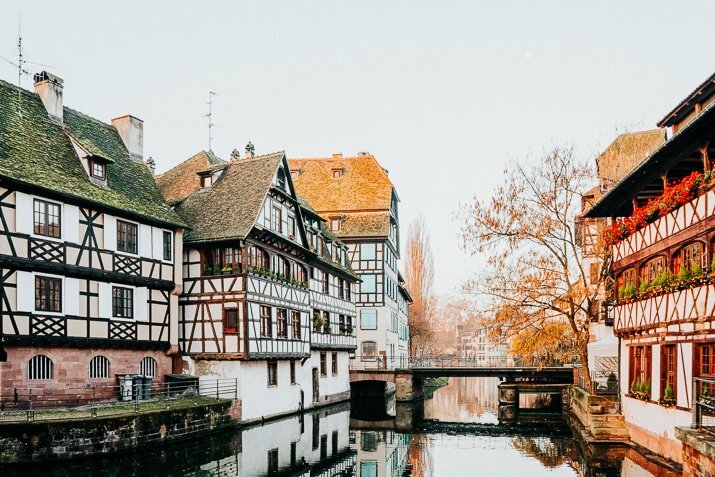 Strasbourg was the last stop on our list and I can assure you, we saved the best for last. 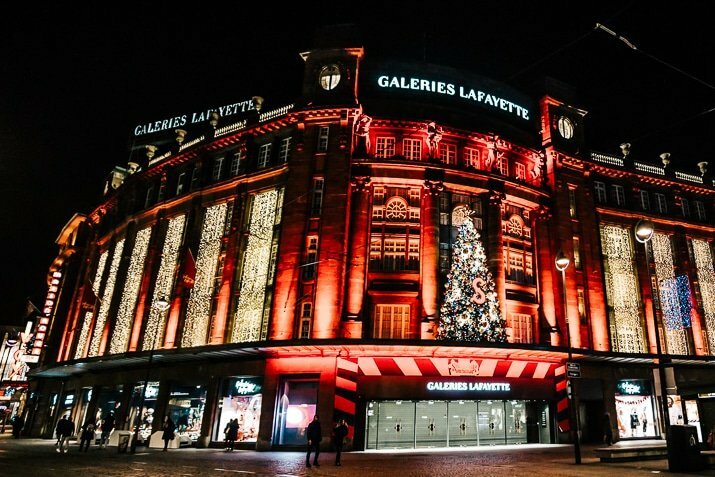 We partnered with Mediavine, a leading ad network for food, travel, and lifestyle sites around the globe to bring along a videographer on our trip to capture all the magic of the holidays in Europe so we could share it with all of you! The vin chaud is amazing, the hot chocolate is to die for, and the decorations are incredible! You can’t help but fall in love with this city. 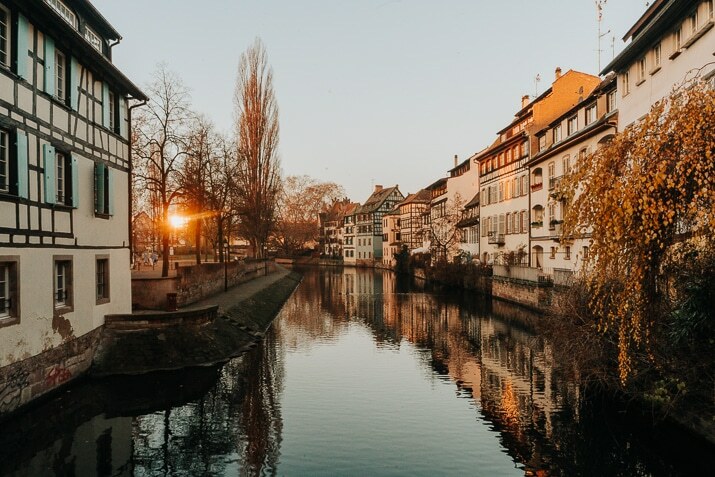 Strasbourg is in the Alsace region in the Northeast of France on the banks of the Rhine River. 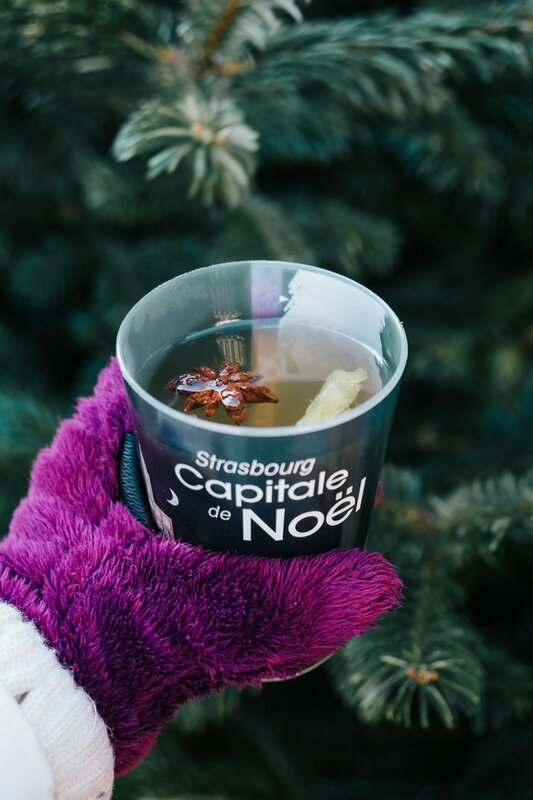 Strasbourg is known as the Capitale de Noel, the Capital of Christmas. The city, while in France, sits very close to the border with Germany, which gives you a lot of options for getting to it. Paris, France – About a 5-hour drive. Frankfurt, Germany – About a 2.5-hour drive. Stuttgart, Germany – About a 2.5-hour drive. Zurich, Switzerland – About a 3-hour drive. Paris, France – About a 2-hour ride and costs between €100 and €150 each way. Frankfurt, Germany – About a 2-hour ride and costs between €50 and €80 each way. Stuttgart, Germany – About 1.5-hour ride and costs between €40 and €100 each way. Zurich, Switzerland – About a 2.5-hour ride and costs between €70 and €110 each way. Strasbourg does have its own airport just 10 to 15 minutes outside the city center. However, it’s not a major airport which means that if you’re flying from somewhere other than Europe it will likely be cheaper to fly to a major airport like Frankfurt or Paris and drive. 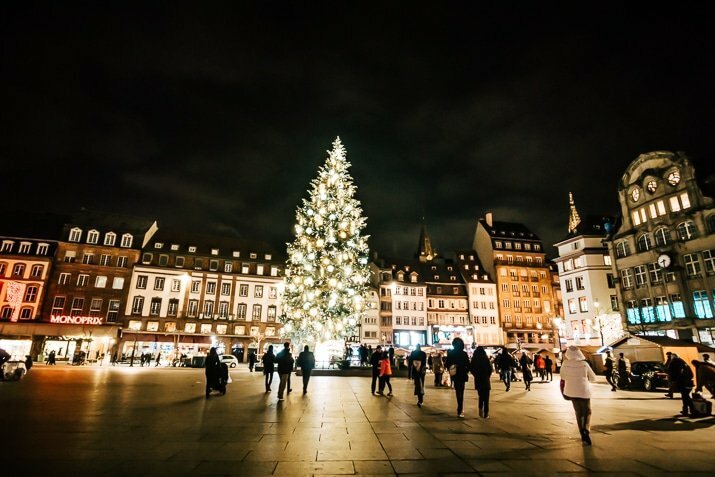 The Christmas Market in Strasbourg is the oldest in France and one of the oldest in Europe. Known as the Christkindelsmärik, it has been open annually since 1570. 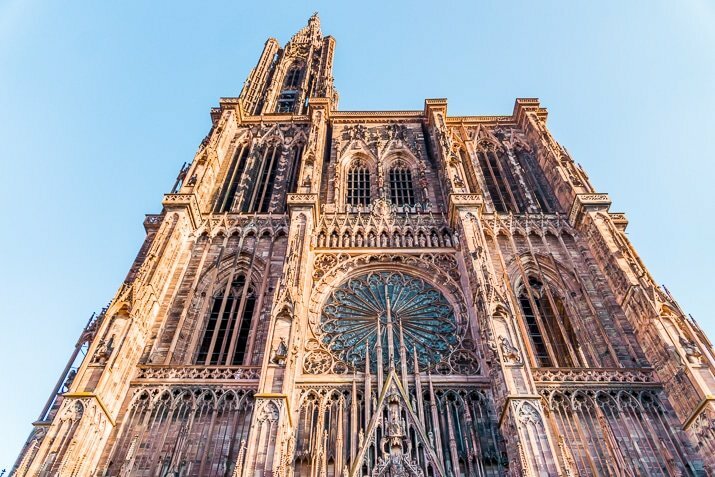 The main market is in front of the famous Strasbourg Cathedral. 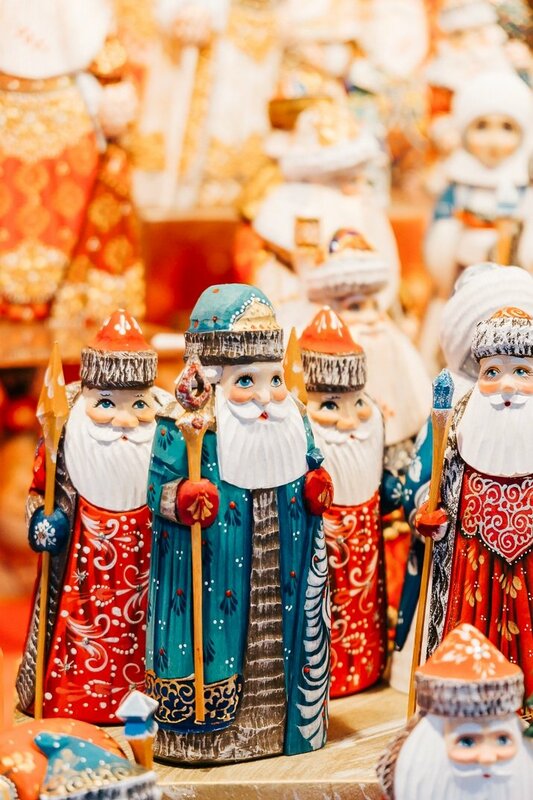 Over 2 million people enjoy the Christmas Market each year. 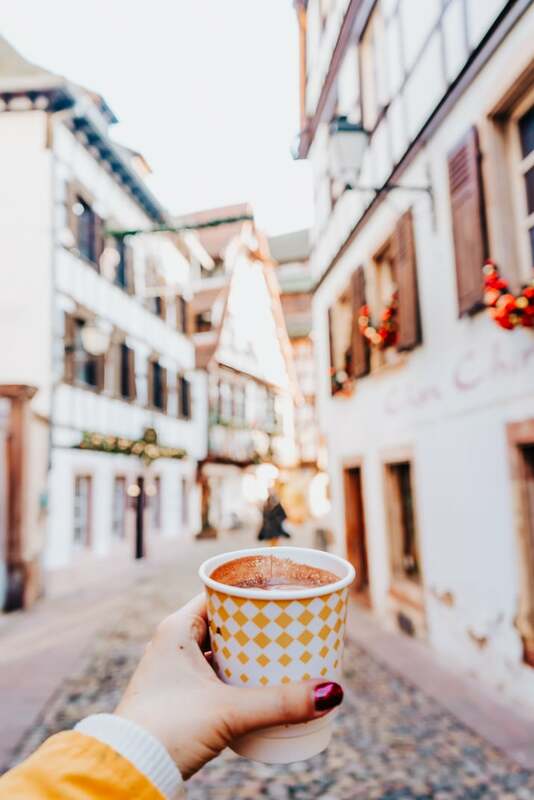 Shopping, eating, and drinking in the streets of Strasbourg have become a holiday tradition for locals and tourists alike. There are over 300 food and shopping stalls throughout the old city and every street and storefront is covered in beautiful illuminations. 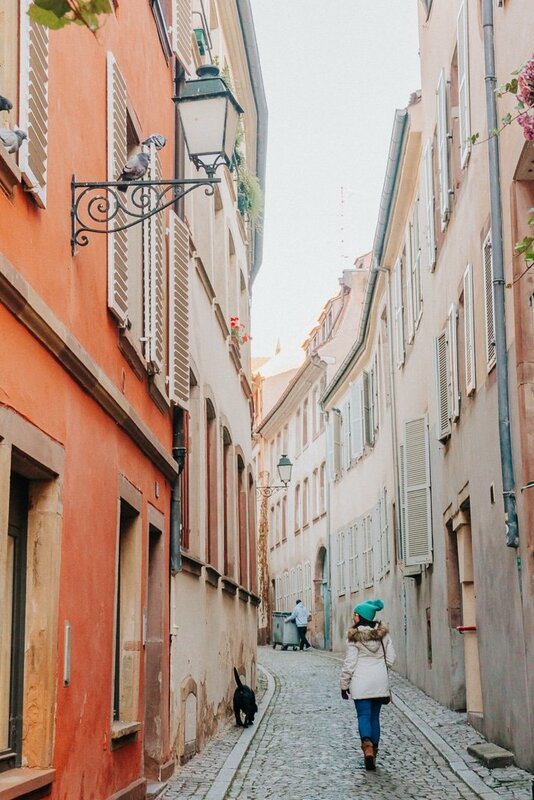 Petite France, Strasbourg’s picturesque historic quarter, is the perfect quiet escape away from the main square. The half-timber houses sit along the river plunging you back in time to a simpler life. Currency Used: Euros, credit cards are widely accepted at most places, even the markets. But just to be safe, always have cash on hand. Tipping Customs: This is always the first thing I try to learn when visiting a new country, here’s a great guide to tipping in France. I personally fell in love with this city and this region and I hope to take my family back one day soon be it summertime or Christmastime, I think both are magical in their own way. Each year, the city invites a guest country along to bring an extra touch of magic to the city. 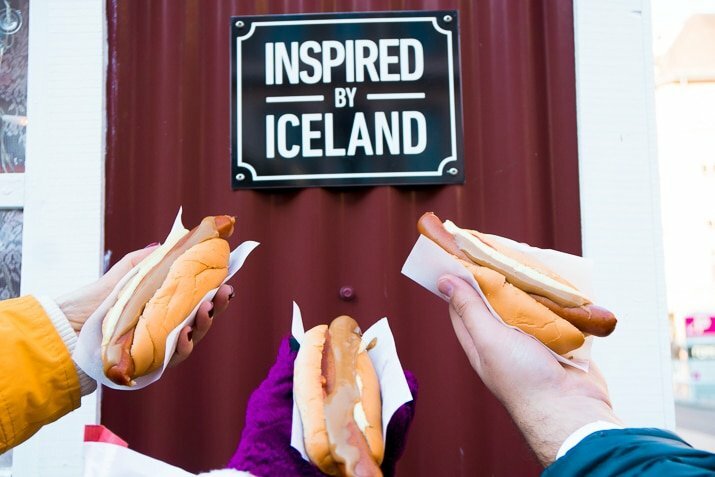 In 2017, make sure to grab a Hot Dog in the Icelandic Village! If you can’t make it this year, start planning for next! Hotels book up far in advance! We stayed at this Airbnb which we booked at the last minute and totally lucked out with, but if I were to go back, I would definitely book well in advance! If you haven’t yet signed up for Airbnb, you should! Click here to save $40 on your first stay!